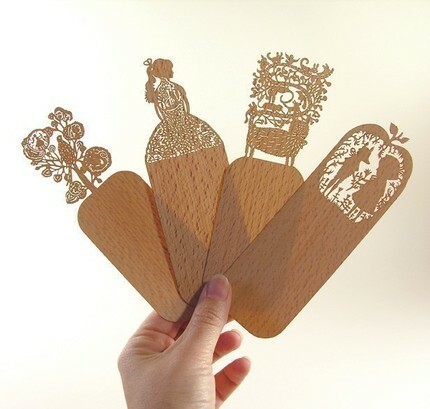 I've been watching designer and illustrator Elsa Mora's Elsita shop on Etsy for a while now. I'm totally fascinated by her intricate papercuts and can't imagine the amount of work that goes into creating these pieces, not to mention the precise craftsmanship. 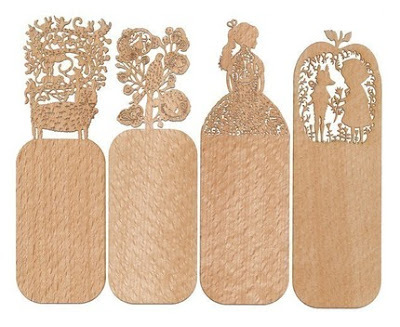 These laser cut wooden bookmarks are the perfect gift for bookworms.